Fife Solicitors Property Centre is operated by a group of solicitors / estate agents based in Fife. Our group comprises mainly solicitors / estate agents with offices in North East Fife, but we also have members in other parts of Fife. Collectively and individually, FSPC members boast a wealth of professional estate agency and legal knowledge. As solicitors, we are regulated by the Law Society of Scotland and operate under a strict ethical and financial code. Why should I sell my property in Fife through an FSPC firm of solicitors / estate agents? Because we are local, we understand the local property market in Fife, yet can provide global access to your property via the Internet. Your property will not only be marketed for sale in the member firm’s own website, but will also gain automatic exposure in this Fife SPC website. Your property will also be displayed for sale in the SPC Scotland website, the national portal for property buyers throughout Scotland. Why should I buy my property in Fife through an Fife SPC firm of solicitors / estate agents? If you are already selling your property through an Fife SPC firm of solicitors / estate agents, your solicitor will be able to dovetail your sale and purchase seamlessly, allowing the funds to be available when they are needed, and arranging entry to your new home when the time is right. You will gain the assurance of knowing that your Fife solicitor possesses the local knowledge and expertise needed to guide you faultlessly through each step of your house purchase. 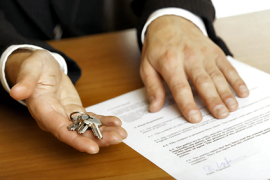 Why should I sell my property via a Scottish solicitor? For most of us, buying or selling our home is likely to be the largest personal financial transaction we will make, so it’s vital to secure the very best advice possible. Your solicitor is the best place to get that advice. A solicitor can deal with all aspects of your purchase and sale, including the legal transfer of title – called ‘conveyancing’ in Scotland – estate agency, and even arranging a mortgage and insurances. By dealing with the many aspects of your transaction together, the opportunities for problems to arise are kept to a minimum. Communication is the key, and the lack of it is the reason why so many transactions where the conveyancing, mortgage and insurances are dealt with by different companies encounter last minute hitches, usually just as you’re setting off in convoy with the furniture van!